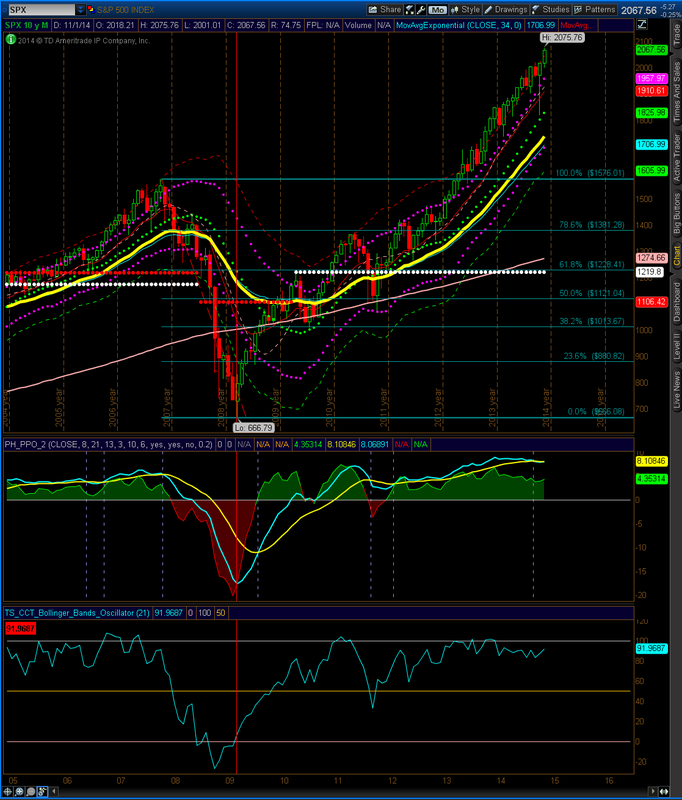 The S&P 500 weekly is showing another close above the upper Keltner line and a new high. Until sustained weakness is shown, the weekly outlook remains bullish. 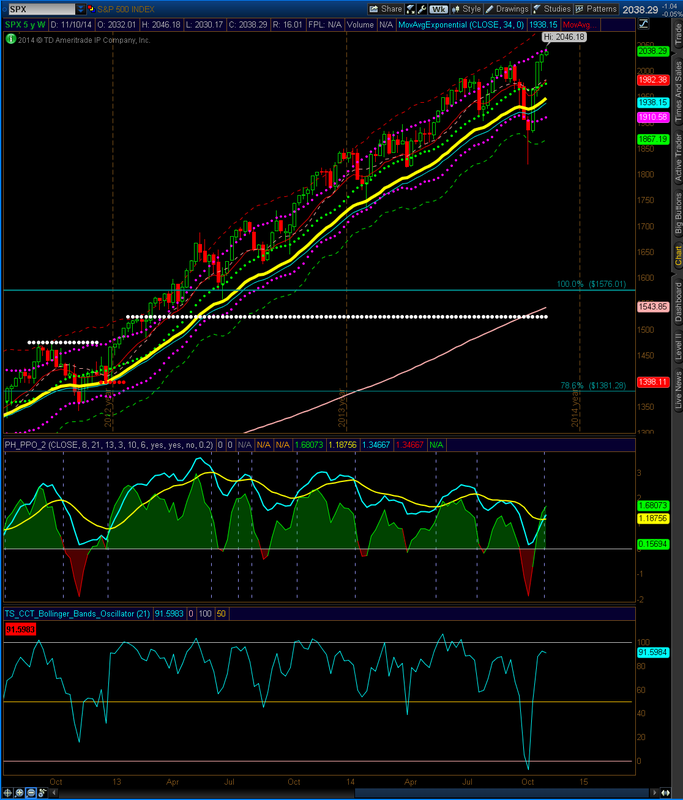 The S&P 500 monthly is showing another close above last month’s high. 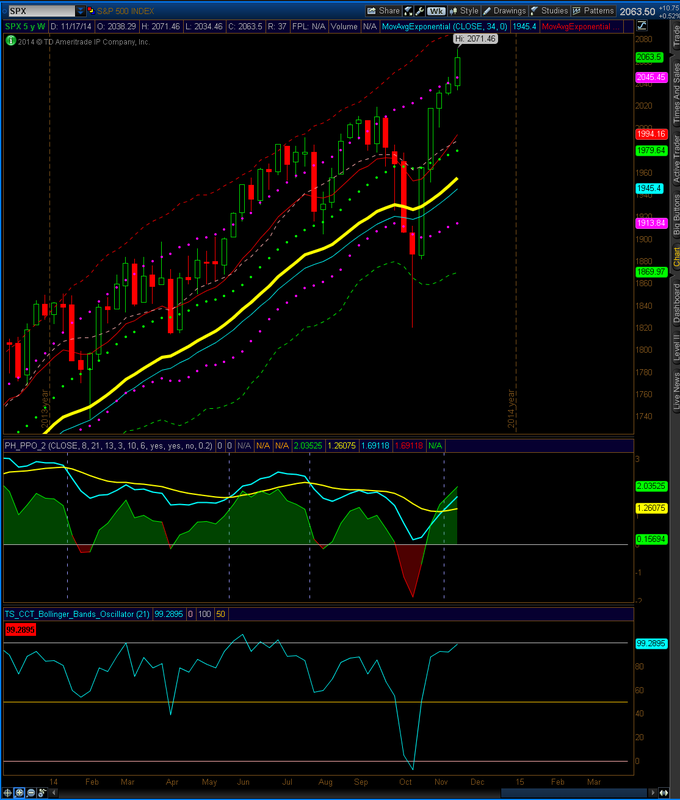 Despite divergence on the PPO, the monthly chart has yet to close in the lower keltner channel all year. The S&P 500 continues to rally. The weekly outlook remains bullish. 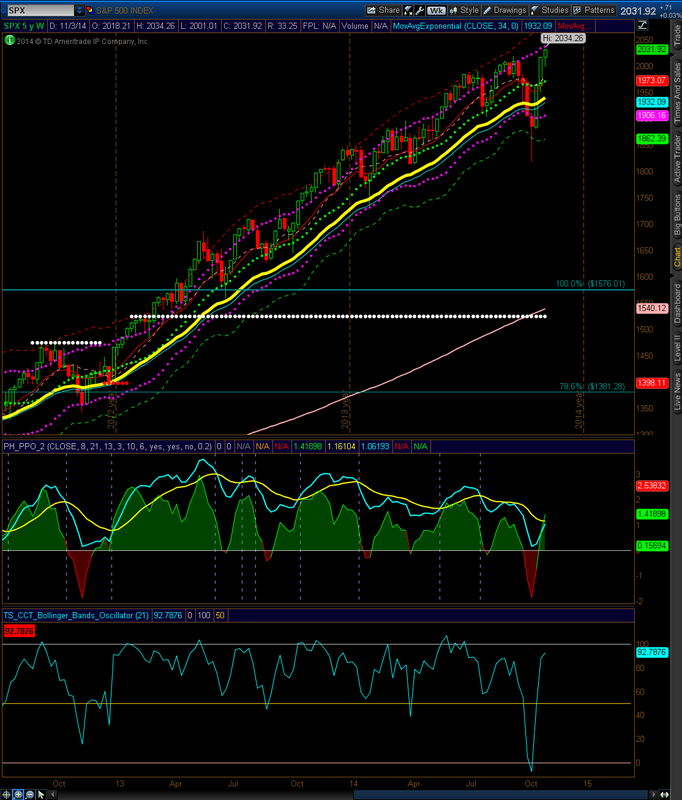 The S&P 500 weekly is showing a possible continuation buy signal. Until the market shows sustained weakness, the weekly outlook remains neutral to bullish. 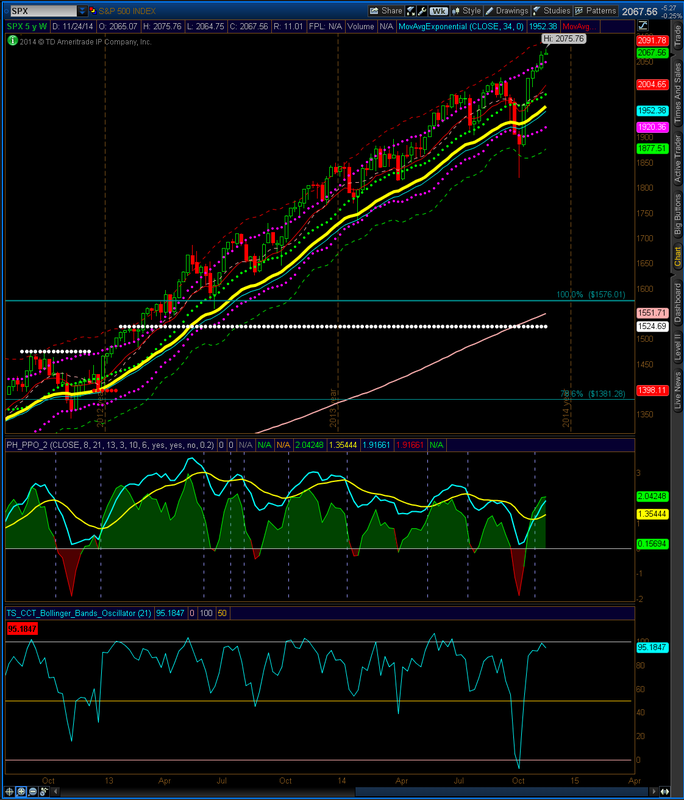 The S&P 500 weekly is showing another new high and close higher. Until the market shows sustained weakness, the weekly outlook is neutral to bullish.